The medical imaging market is go¬ing through an extensive trans¬formation, adding incremental value by reducing patient risk and gen¬erating data that enhances treatment outcomes. Providers are taking a ser¬vice-oriented approach: “Today more than ever, advanced medical imaging solutions are strongly focused on the final prescribers and specialty physi¬cians who need images to drive clinical care,” says Marie Meynadier, CEO, EOS imaging. 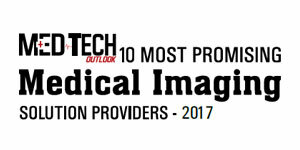 This is driving a trend for in¬creased integration into other medical technology platforms: “In the current value-based healthcare environment, users are demanding imaging solutions with the capability to comprehensively integrate across the episodes of care and provide relevant patient data to improve results and minimize manual errors.” This is where EOS imaging comes in. “The robust capabilities of the EOS platform ensure an integrated system of care that guides treatment algorithms and tracks patients over time, through a comprehensive array of health services.” The EOS imaging hardware and software solutions are seamlessly integrated to provide low-dose, 2D and 3D X-ray images used by orthopedic surgeons. The platform identifies relevant patient data from the images and can analyze the results in a software application for use across the continuum of care. The EOS platform includes cloud-based application software solutions for 3D treatment planning, empowering surgeons to plan surgeries from anywhere. In addition to creating an integrated system of care, another key area of focus for medical imaging is to minimize the potential risks associated with radiation from X-rays. The EOS system’s Nobel Prize winning detector technology enables a low radiation dose solution, ensuring that patient risk is minimized during the imaging exam. A standard EOS exam reduces the radiation dose by 50-85 percent (compared to DR and CR) while the Micro Dose option decreases the dose by another 5-7 times, resulting in a full AP/LAT spinal exam which is equivalent to a week’s worth of natural radiation on Earth. This is particularly meaningful for pediatric patients with disorders that require frequent imaging surveillance. The EOS platform consists of EOS, a 2D/3D imaging system, the sterEOS 3D workstation and the EOSapps, 3D surgical planning solutions for the spine, hips and knees. The EOS system provides bi-planar, stereo-radiographic, low dose images of a patient in a standing or seated position and can capture the full body in less than 20 seconds. The sterEOS workstation is used to review images and generate a 3D model of the patient’s spine and/or lower limbs. EOSapps enable surgeon-centric solutions to plan and simulate orthopedic surgeries for spine conditions as well as hip and knee arthroplasties. hipEOS is used to plan total hip replacements and leverages the EOS 3D data set and surgical simulations to select the right-size implants and optimal implant positioning at a patient-specific level. Similarly, the spineEOS software provides an online surgical planning and simulation tool for degenerative and deformative spine surgeries. The platform transforms the relationship between radiology and surgery, creating a collaborative environment that brings images and relevant data to the surgeon and better outcomes to patients. With the EOS system, patients also benefits from a fast and comfortable exam, which streamlines the radiologist’s workflow. For example, “One of our EOS customers in Hong Kong, after collaborating with us, was able to complete 115 spine exams during a half day clinic, which is at least five times more than they could achieve using a standard x-ray system,” notes Mrs Meynadier. Overall, EOS’ proprietary hardware and software technologies are driving their commercial success. With the strong growth over the years, EOS continues to expand its activities in Asia Pacific and other regions with installations that provide enhanced imaging capabilities. “We are launching a digital, cloud-based portfolio of software solutions that will help surgeons anticipate, plan and control surgeries as well as post-procedure surveillance that will increase the efficiency of their practice,” concludes Mrs Meynadier.